Ubisoft moves into Western Canada today with the acquisition of the Vancouver, British Columbia-based development studio, Action Pants, with a new Wii title already in the works. The Vancouver based Action Pants Inc., which currently employs more that 110 game developers, is now part of the Ubisoft game developing empire. The studio is currently working on a Wii-exclusive sports title, due out later this year, which the official announcement of the acquisition says will expand upon Ubisoft's recent success with Shaun White's Snowboarding. 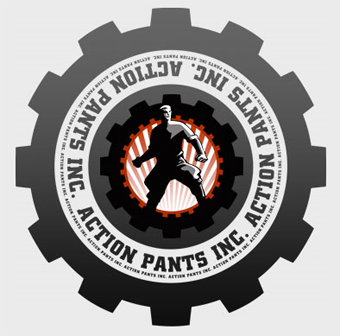 "We are very excited about this opportunity, and how it will benefit our studio" stated Simon Andrews, co-founder and executive partner of Action Pants Inc. "Action Pants and Ubisoft share very similar values and we are confident that this synergy will provide all of our staff with new and exciting opportunities, as well as resources that will benefit all of our future products". I just really hope they don't take that amazing name and change it into Ubisoft Vancouver. Ubisoft Action Pants has a much nicer ring to it. You don't want to stifle that kind of creativity.